Romania faces a large problem, no matter which way you try to figure out its land, there is something repetitive about its history. The idea that there is a land which doesn't have the problems its neighbour to the south, Greece, or that it is about the same age as its neighbour. It also has a repeat of similar problems which are faced with disposed royalty of the different lands. Even now, when it comes to talking about Transylvania, and Romania, many of the Western European nations still fall back on the same themes. The Independent, in a 2009 article would write about Transylvania as if many people hadn't a rough idea of either Romania, or Transylvania. In a sense they are correct. 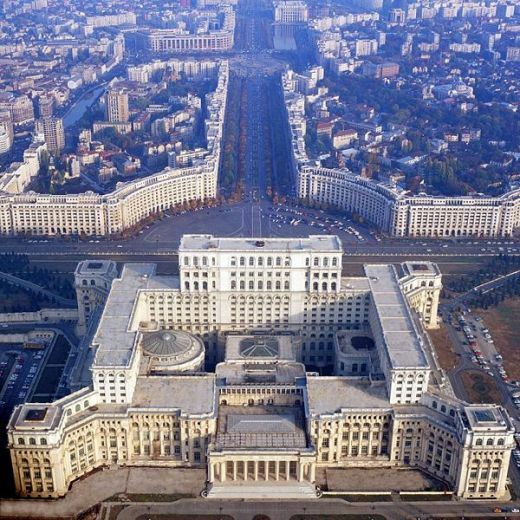 1) Romania is similar in government style to France, which is a semi-presidential republic. Its President is Klaus Iohannis, a German-Romanian from Sibiu won the office in the elections of 2014. The Prime Minister is Victor Ponta, who has held this position since 2012. 2) There are several points of interest in Romania: Bran Castle, Peles Castle, the palace of parliament, and Corvin Castle to name a few. 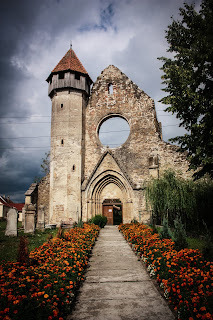 Of note, Bran Castle and Corvin Castle are both tourist attractions in Transylvania. The palace of parliament, is noted as the world's largest civilian building, and was one of the many projects of the Ceausescu regime, before the fall of the communist government in 1989. 3) There are many cultures or ethnic groups, represented in Romania: The largest is Romanian at nearly 90% of the total population, the next is Hungarians, then Roma, then Ukrainians, followed by Germans. These numbers have changed over the course of the last century. Before the Second World War, there were more minorities in the area, which made up nearly 30% of the population. By 1948, this number was down to 15%. 4) Tourism in Romania makes up for 5% of the total GNP. In some of the areas, this percentage is higher. Cultural centres such as Sibiu and Alba Iulia, and Bucharest are the top main attractions to go to in Romania. 5) Romania, as many people know it now, was not how it was. Before 1918, it was a formation of the union of two principalities, that of Wallachia and Moldavia. After 1918, Transylvania, Bukovina and Bessarabia. 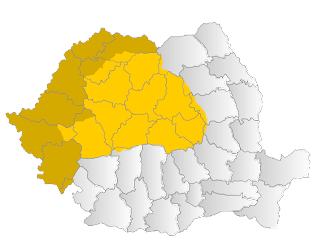 Romania would lose some of its territory with the independence of Moldova (the eastern part of Moldavia) and the territory ceded to the Soviet Union, meant the loss of much of it territory. 6) The best known castle in Romania is Bran Castle. This is a privately owned castle of the desendents of Queen Marie of Romania and her third daughter. Made famous because of Bram Stoker, it was a Royal residence after 1919. Queen Marie's heart is buried in this castle, her body lies alongside of her husband, King Ferdinand. 7) There were two official Queen Consorts of Romania, and four Kings with five separate reigns. Queen Elizabeth of Romania, and her husband Carol I of the Romanians. Next were King Ferdinand of the Romanians (nephew of Carol I) and Queen Marie of Romania, were both Kings and Queen consorts. 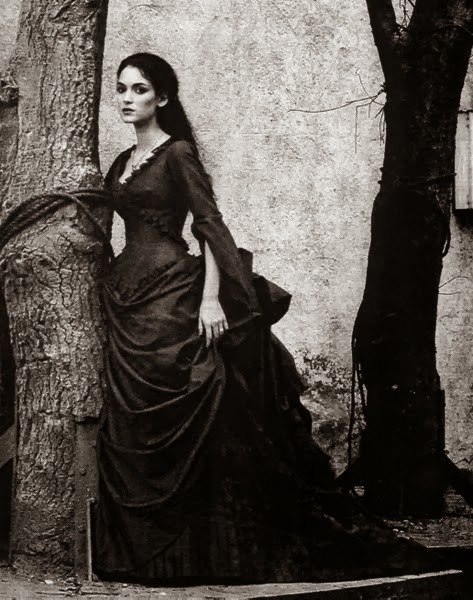 (note that the Kings were Kings of the Romanians, the Queens of Romania.) Both women were married to their husbands during their reigns. Next was Carol I and his wife, Queen Mother Helen. Helen was never titled Queen of Romania by her husband. King Michael would reign twice, once after the death of his grandfather, and then after the abdication of his father. His wife, Queen Anne of Romania, is considered Queen Consort in pretence, as she was not married to the King before the forced abdication of Michael. The Romanian royal family is not as respected, but King Michael is. 8) The three main principalities which make up Romania are: Transylvania, Wallachia, and Moldavia. Of these, Moldavia split and the eastern part became the country of Moldova.